We have to give credit where credit is due. And in the case of the ongoing success being reaped by Apple at this early pre-order stage of its “magical and revolutionary” iPad, it’s just but natural to commend Apple for coming out with a great promotional. This is what Apple does best – introduce a new product, excite would-be customers, open it up for criticisms and then later on, offer the product for sale. Once again, Apple has proven its marketing prowess. This early, the iPad is reportedly selling like hotcakes. An estimated 50,000 units were reportedly sold in the first two hours after the pre-order process started. Stocks are dwindling down, affecting those who are still in the process of pre-ordering and choosing the pick-up option. And while everybody else are busy, it was found out that the iPad filing has just passed through the FCC. This heightens the excitement so more. So, it’s true – the magical product is indeed coming. I’m pretty sure when the FCC news broke out, more people started clicking on that pre-order button. So, have you wondered why despite the criticisms that were hurled against the Apple iPad, many customers still purchased it? Call it Apple consumerism. A disease that has inflicted me and the rest of the thousands of Apple fans who have pre-ordered the Apple iPad and who will pre-order it until supply lasts. In case you’d want to ask, yes I’m pretty excited and couldn’t wait for April 3 to come. The “I have to have it regardless of all other things” is a phenomena I’ll never understand. I use Apple computers, and for me this is the best option available at this time. However, it’s being the first that’s mystifying. And I have no doubt that Apple users can be fanatical. Maybe the economy isn’t as bad as the media would have us believe. 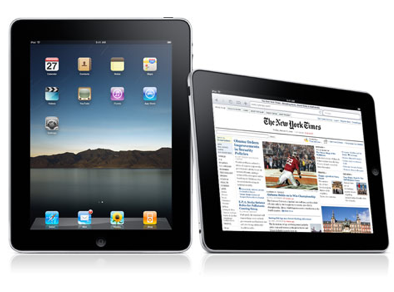 Without a doubt, in a few months a newer better version of the grossly over-priced iPad will be available. And maybe, another company will produce a better touch screen reading device that is better than the iPad.